We had the most amazing time at Villa Sanook! The villa itself was absolutely gorgeous and very well maintained. The house staff were extremely helpful and caring towards our young children. Every need and request was met with a smile. We also had the pleasure of traveling with great friends. Perfect holiday! When things go wrong you need them the most! would be waiting for us at any time of our arrival. What a difference it made to deal with Sally than to be dealing with some generic hotel chain. Our flight never actually did take off and eventually we realised that this year\'s Bali holiday was not to be. Sally could not have been more responsive and helpful. We are already booking another attempt for 2016 but for longer. 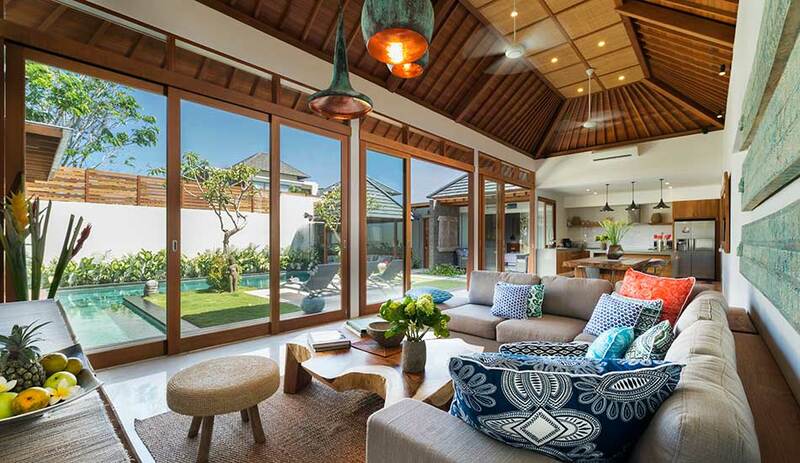 Myself and my family just returned home after a wonderful 7 night stay at Sally's villa in Seminyak. The villa is presented exactly as you see in the pictures, tranquil and relaxing compared to the hustle and bustle just down the laneway from where the villa is located. There are four bedrooms all up, each with their own ensuite. Two of the bedrooms are accessed from the garden/pool area and two are inside. The two inside bedrooms are bigger, as are their bathrooms (open air bathrooms) The two outside bedrooms do however have the luxury of pool access and while the bathrooms are smaller, the shower is on the outside, leaving the rest of the bathroom relatively cool. The common areas such as kitchen, dining area and lounge room were spacious and very comfortable. The pool was gorgeous as was the day bed. The villa is fully air conditioned which was a great escape from the humidity. The villa staff were wonderful, kind and willing to assist in any way they could to make our stay as pleasurable as possible. We were made breakfast every morning which was always cooked well and was very fresh (bacon & eggs/pancakes/Indonesian style and fruit along with juice, coffee, tea) Our rooms were kindly made up each morning with fresh sheets and towels. The villa is located down the end of long lane way off a busy main road. While it is only a short walk up to the main road or to the Circle K convenience store at the end of the lane, you could always ask one of the staff to call you a taxi which would drive down to pick you up if you were going somewhere of a distance. It is about a 15-20min walk to Seminyak Square, with many restaurants and cafe's along the way. It was nice to walk to some of the places as you get to see more that way. Sally was extremely helpful and very easy to deal with during our interactions. We are so pleased with our decision to stay at her villa and will defiantly be back and will recommend to our friends (but we might decide to keep it as our little secret) Thanks again to Sally and her wonderful staff for a great family holiday we will be sure to remember for a long time to come. Have just returned from 5 nights at Villa Sanook and what an absolute wonderful experience it was. We were a family group of 7 adults and 1 baby and this accommodation was perfect and you were made to feel so, so special. Thanks so much to Sukra, Wayan and Oka for their attention and cooking, you made us feel like this was a family holiday in which we were totally relaxed and able to enjoy each others company without having to do anything!!!! My favourite place in the villa would have been the 'outside bathroom' which was stunning at night. We only wish we had more time to spend at the Villa but all good things come to an end! Thankyou Sally for allowing us to stay at your villa. Beautiful private oasis in a great beach town. 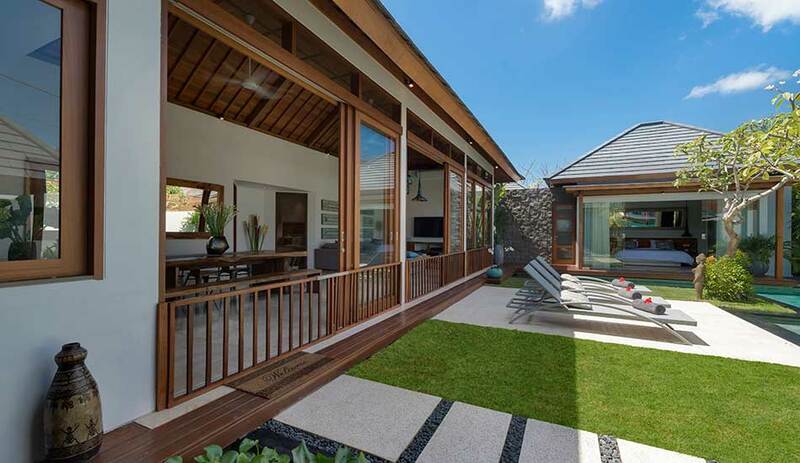 non-stop Bali adventure, or to detach yourself from the outside chaos and relax in your own private oasis. Villa Sanook, you have everything you want. Upon entering the Villa you immediately know you’ve made the right choice. 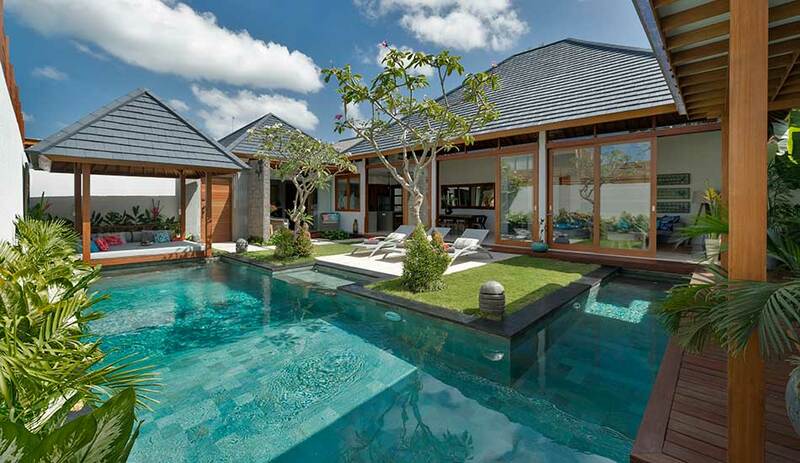 The villa has an open air feel with the living room looking out to the yard and pool. matter of seconds – all it takes is a few steps. coffee, tea, etc is served, giving you that initial boost you require for the day. personal barbecue if you would like. with details and upscale construction all around. a five-minute walk up the road, will keep you well stocked for any essentials. Villa Sanook is a great villa in a prime location. The only regret we have is simply not staying for longer. recommend a better place to stay in Seminyak. Best Villa I've ever stayed in! with their own private outdoor shower and bathtub! There were a total of 7 of us and it was perfect as we do not need to draw lots nor fight who sleeps in the Master Bedroom! has views of the small garden behind the glass. well as a deep end, which was really really deep! I couldn't even stand at all. There are ledges around the pool so that you're able to sit comfortably in the water too! so we just lit a mosquito coil and placed it under one of the sun beds. turn on the A/C & cool off the summer heat! would love to have more, but sadly, I was only allowed one helping. bathroom! Not only is it spacious, it has a bathtub AND an outdoor shower! duckies soap dish for you to play with! mosquito coil near our bedroom doors to drive away the mosquitoes. He does this diligently, everyday! he even took out a floating rugby ball so we could all play like little children. on the dining table. Everywhere. I love it!! breakfast. Either American (eggs, bacon and toast), pancakes or Indonesian style. I wish I would eat my omelette with pancakes though. Our family travelled to Bali for a week and we stayed at Villa Sanook. We stayed at the villa recently and had a wonderful time. It's located in such a central spot that when you first arrive you get a shock as to how close to everything it is yet removed from the hustle and bustle. Our room was well air conditioned, with a very comfortable bed and quiet for sleeping. We went with a group and the areas set aside for dining, lounging and swimming very conducive to a great stay. Staff were gorgeous and obliging with nothing being too much trouble. Everyone agreed their stay was wonderful. the villa were great too. My family and I had a delightful time. our stay there! Would strongly recommend this villa. Cheers! premium in every detail. The teo staff were very helpful. Absolutely recommendable. from the lounge area. Bedrooms are so nice for sleeping, and very decent size. 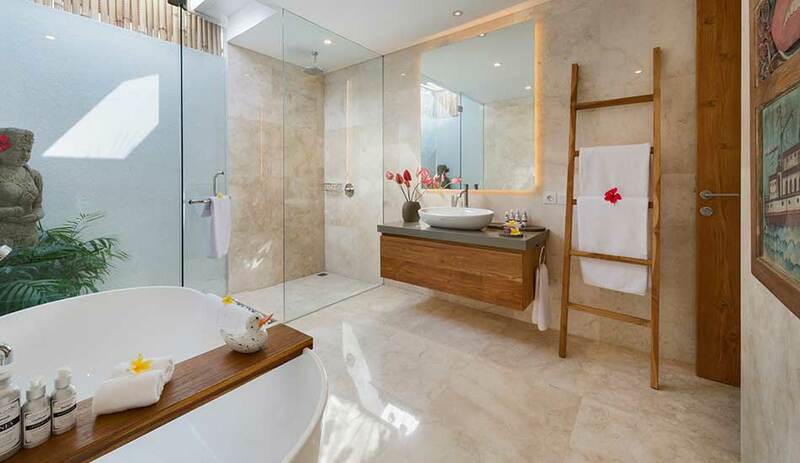 En-suites are just amazing and as big as the bedrooms with real Balinese open feel to them. There is a huge TV and good sound system for plugging into & watching movies. the main Seminyak strip, easily walkable for a big selection of restaurants and bars. once the Wifi was working - it's decent speed and strong signal over whole villa. as the narrow roads have limited paths but quite a few potholes & drains. villa stay in one of the best locations on the island. time in their own rooms and bathrooms. - Villa staff are so nice & were great with the kids. We even used Winya (Spelling?) to babysit on the last night. and helpful. The villa is also very new, and looks exactly like how it is in the photos. beautiful house. Would definitely recommend staying here! It was a fabulous time!!! decision rather quickly. The photos presented in the listing was true and accurate! Seminyak. Villa manager Sukra and his helper was incredibly polite and hospitable. 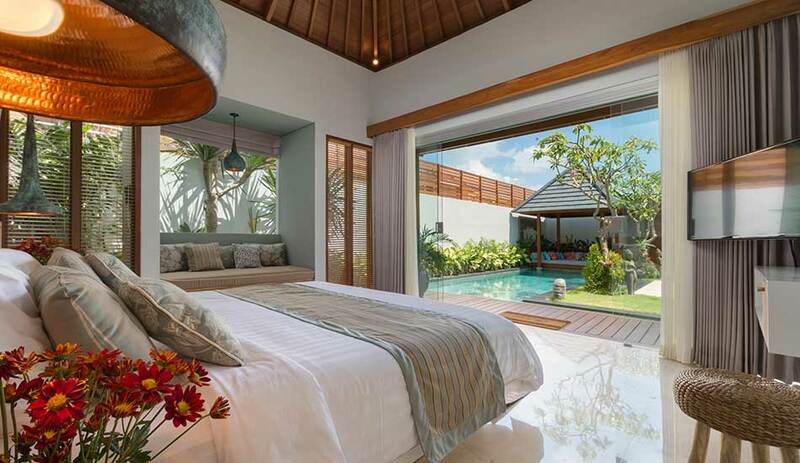 This is a villa I would definitely book again when I visit Bali! Firstly, Sally was a gem to deal with, very prompt and certainly very accommodating. Sukra and Wayan were warm and hospitable people and made us feel right at home. Our family was warmly welcomed by the villa managers, both of them were very friendly. surrounded with plenty of good food options. road. I would still give it a thumbs up for the excellent villa layout!! This villa is one of a kind. It is exactly like the pictures and so much more. Very spacious, the 7 of us had ample room to nap, swim, eat or read our books. of Seminyak and there is a Circle K at the end of the driveway for snacks and drinks. There is also security out the front of the villa all night so you feel completely safe. The only downside? You won't want to go home! Highly recommend. It would be difficult to find a better experience that what we had a Villa Sanook. Finding this villa we were hesitant to book as there are no reviews yet (because it's so new!). However by pure luck a friend of a friend lives across the road and has confirmed it is brand new, beautiful and built with quality finishes. She has also met the owners. Contacting Sally the owner was easy and she was more than happy to provide her phone number so I could discuss the villa with her. We have obviously not stayed here yet but I am writing this review for those interested but concerned about the fact that there are no reviews for this property. Thanks Sally! First of all thank you to Sally for providing us with a wonderful Villa. With a group of 8 people this is a good Villa if you are traveling in a group or a big family. The facilities are well maintained and are in good working order. The rooms are cozy and the beds are comfortable to sleep in. The bathrooms are big and spacious, in one room even bigger than the room itself!. Every morning Sukra and Wayan will make breakfast and tidy up the Villa for us. I big thank you to both of them. I have no complaints about this Villa other than i wish i could have stayed longer. I had an amazing time and will definitely come back again. Cheers! © by Villa Sanook, Drupadi. All rights reserved. Designed by Bali Web Design.